You know those 3 magic words - location, location, location! This gem is a well kept secret just off Pelham Road, nestled in the newest section of the lovely gated community of Ingleside/River Birch. 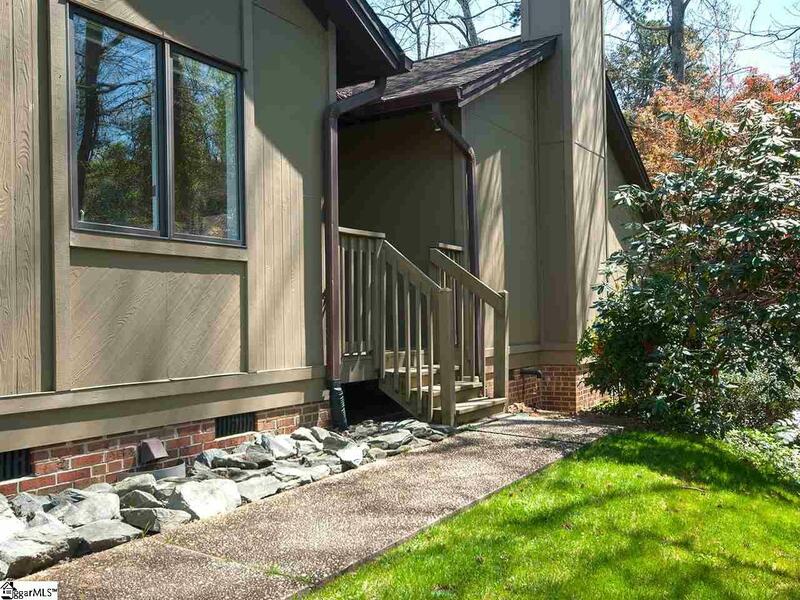 Its centralized location offers incredible convenience to shopping, restaurants, hospitals, Haywood Mall, Pelham Road, E. North Street, I-385, I-85, and of course Downtown Greenville. 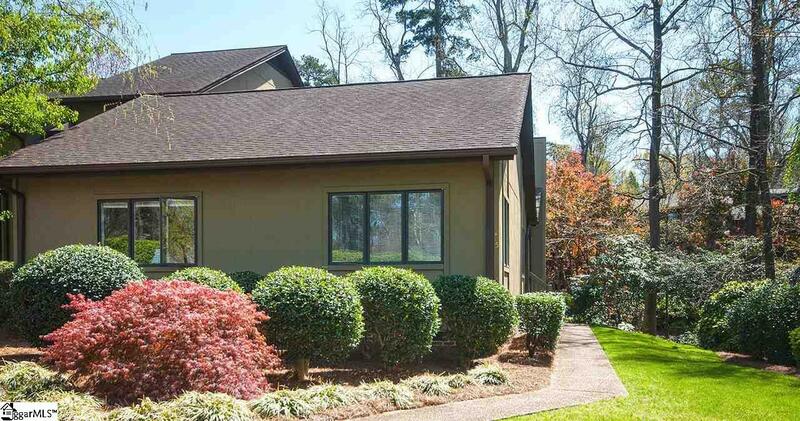 This rare, one-level flat has been meticulously maintained and thoughtfully improved and the end unit location offers the privacy you crave. As you arrive through the entrance gate and park in one of your two designated parking spaces, you can conveniently check your mail at the mail kiosk before making your way down a lovely, winding sidewalk surrounded by lush, green landscaping. Passing the other end unit, it feels like you are entering a single family home. Once you arrive at the welcoming front porch and enter the impressive foyer, youll find an amazing open layout boasting a great room, separate dining room, large upgraded kitchen, breakfast room, 3 bedrooms and 2 baths. As the "youngest building in the community, this unit offers unique features such as 9 ceilings, a vaulted ceiling in the great room and a fireplace with gas logs in the great room. 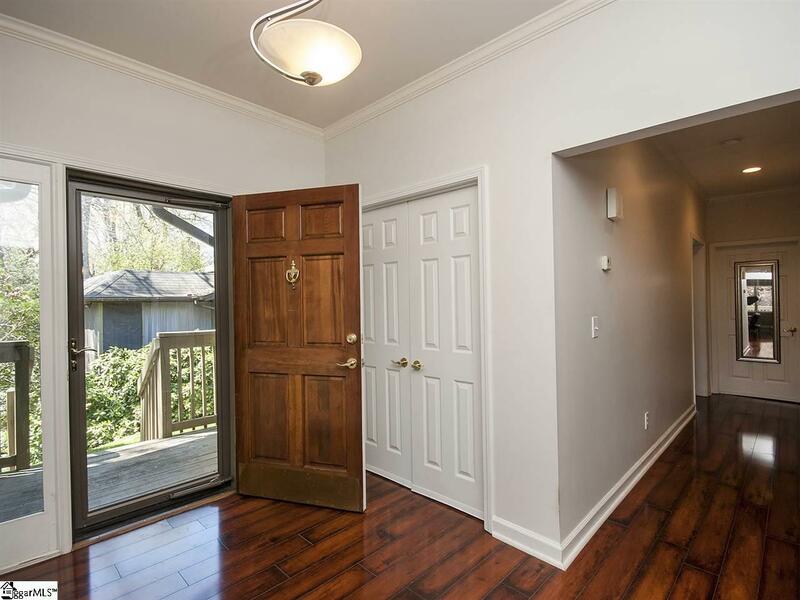 The 3rd bedroom could be used as an office or study; French doors open to the foyer and an additional door on the other side of the bedroom opens to the hallway with access to the 2nd bath and the 2nd bedroom. The upgraded kitchen located next to the ample dining room features granite countertops, ceramic tile flooring, 42" white cabinets that extend to the ceiling, under cabinet lighting, pantry, breakfast room and all appliances including the refrigerator. The spacious master bedroom offers a large ensuite master bath with jetted tub and shower, double sinks, water closet (lavatory), linen closet and a huge master walk-in closet. A walk-in laundry room (with washer and dryer) is located off the hallway, along with ample storage closets. Youll find fresh paint throughout. Two of the best features are the laminate wood flooring upgrades throughout the living areas and the windows which are positioned to offer beautiful Southern/Western exposure and brilliant light throughout the day. 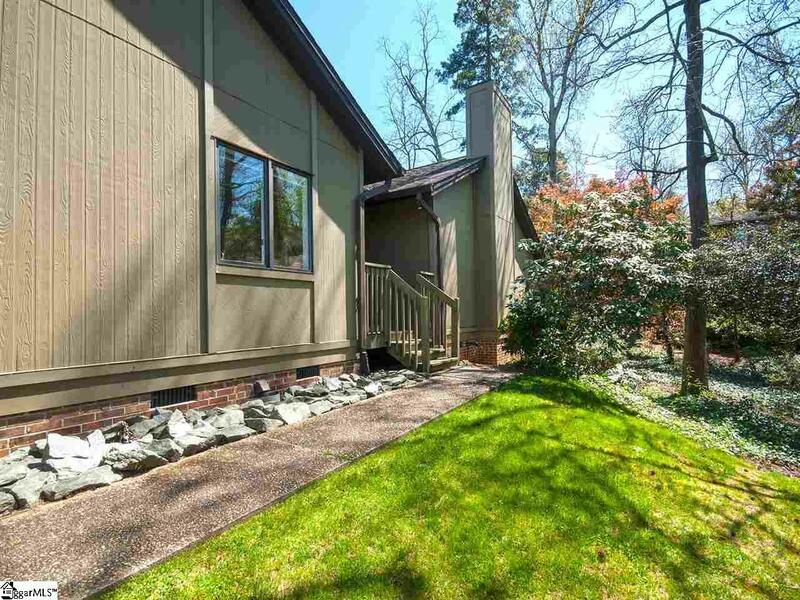 Just off the breakfast room and great room is a relaxing back deck (facing a serene wooded greenspace) with a spacious storage closet for your outdoor tools and toys. As a resident of this gated community, youll have the benefits of maintenance free living where the HOA maintains the grounds and most of the exterior and youll have more time to enjoy walking through the neighborhood and swimming in your community pool. Youll not only have two designated parking spaces, but this unit is located across from a more than ample guest parking area. This townhome is the private, convenient, elegant new residence you have been searching tirelessly for! Make an appointment to see it today. Listing provided courtesy of Ronnetta Griffin of That Realty Group.